Infinity, horizon, lagoon, lap and plunge - there's plenty of different types of hotel pools. But when the temperatures rise, the Tropical North locals know all the best spots for cooling off courtesy of Mother Nature. And blessed we are with countless swimming holes, making paddling an all-year-round activity. 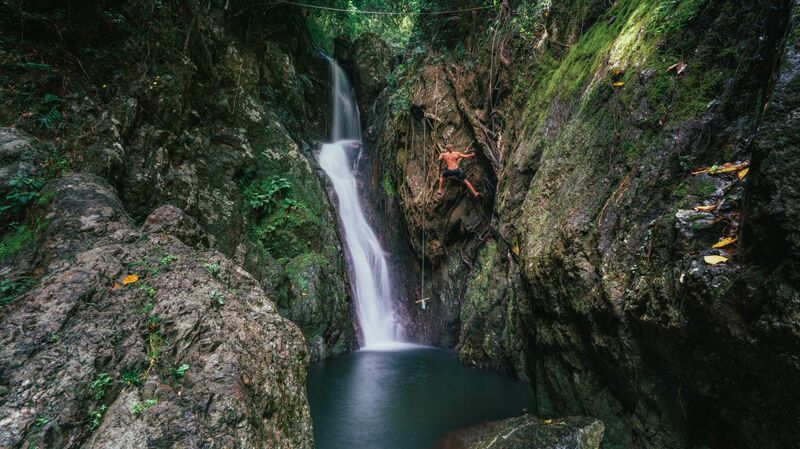 So pop on your bathers and your adventure shoes – here’s our guide to some of the best hidden swimming holes in Cairns and surrounds (in no particular order because they're all pretty special!). Of all the waterfalls in the region (and there’s a few! ), Josephine Falls is not only one of the prettiest, but also one of the most fun! Swim in the crystal clear waters, play in the cascade over smooth rocks that make a natural slippery slide for kids (and kids at heart) and relax on the sandy beach as the gentle breeze rustles flows through the overhead rainforest canopy. How to get there: Approximately 75 km south of Cairns is a little country town called Mirriwinni. Take the turn off to Mount Bartle Frere, the highest mountain in Queensland, and you will then just need to follow the signs for around 8 kilometres to Josephine Falls. Mossman Gorge, part of the Daintree National Park, is home to crystal-clear waters that flow over large granite boulders in the Mossman River gorge. Dense rainforests line steep mountainsides from the river banks keeping this spot secluded and cool all year round. An elevated boardwalk takes explorers through the lower rainforest canopy along the riverside, while more adventurous visitors can cross the Rex Creek suspension bridge and enjoy the 2.4 kilometre Rainforest circuit track through lush rainforest. How to get there: Just over an hour north of Cairns, follow the directions to Mossman. Mossman Gorge turnoff is well signed, taking you to the Mossman Gorge Centre. From there, a courtesy bus will ferry you to the start of the boardwalk. Tucked away in the dense rainforest is a picturesque waterfall as magical as its name. Some rock hopping is required to reach this natural plunge pool, but the end result is definitely worth it. Take a hike into the famous Cairns Pyramid mountain to beautiful Behana Gorge. This Cairns water supply flows all year round with no rest (for the wickedly beautiful). Behana Gorge a perfect vision of tropical scenery, with the whole of gorge lined by giant granite boulders. Jumping into the water becomes an option for the adventurous. Take a moment to relax, close your eyes and listen to the wildlife, the sounds of the rainforest along with the mystic waterfalls flowing and you will know that you are in paradise. How to get there: Head south of Cairns past Gordonvale and look for a sign called Behana Gorge Road. Keep following this road all the way along through canefields until you come to the car park. The walking track takes about 45 minutes and there are a number of steep inclines so only go if you’re reasonably fit (it’s too far for young children to walk).